CORNELL, Mich. — Clarence “Butch” Johnson Jr., 70, of Cornell, passed away peacefully Monday, April 8, 2019, at UP Health Systems in Marquette. Butch was born Nov. 14, 1948, in Port Huron, Mich., the son of Clarence and Millie (Fleming) Johnson Sr. Butch graduated from Trenary High School. In 1966 he enlisted into the United States Marines spending 13 months in Vietnam and was honorably discharged four years later. He reenlisted in the United States Navy in 1982 and was honorably discharged in 1990. Butch retired from the City of Champagne, Ill., as a Network Engineer. Following retirement he reconnected with the love of his life, Laura Jean Grenier. He relocated to the Upper Peninsula late 2014. The couple was united in marriage on May 1, 2015. Butch was a member of the American Legion. 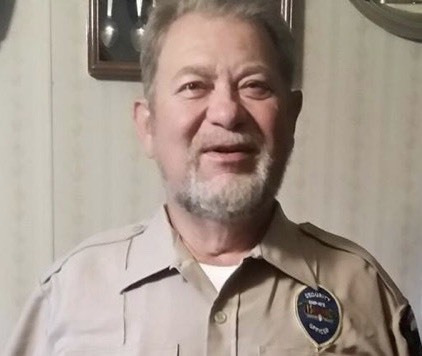 He enjoyed woodworking, attending the Trenary outhouse races, loved to fish, care for his chickens and dogs, and exceptionally loved his grandkids. In addition to his loving wife, Laura (Grenier) Johnson, Butch is survived by: three sons, Chris Johnson of North Carolina, Dale (Christina) Johnson of Lake Los Angeles, Calif., and Jamie (Amy) Sarasin of Tawas City, Mich.; daughter, Angie Fargen of Greenville, Wis.; brother, Mark Richard (Kim) Johnson Sr. of West Jefferson, N.C.; sister, Mary Anne (Russ) Verbeke of Rapid River, Mich.; special friends, Linda (Mark) Asselin of Cornell, Mich.; dogs, Taz, Jethro, and Kojack; many grandchildren; two nephews, Robert (Rita) Savola of Gwinn, Mich., and Mark Johnson Jr. of West Jefferson, N.C.; niece, Melissa (Chris) Hanna of Fort Worth, Texas. Butch was preceded in death by his parents. Family will receive friends Saturday, April 13, from 1 until 2 p.m. at the Skradski Funeral Home in Gladstone. Military honors will be presented at 2 p.m. by the Gladstone American Legion at the Skradski Funeral Home in Gladstone. Butch will be laid to rest at Gardens of Rest Cemetery in Wells. The Skradski Family Funeral Homes of Delta County are assisting the Johnson family. Please visit www.skradskifuneralhomes.com where you can leave a message of condolence to the family.